Awesome 5 bedroom, 3.5 bath bay front home with private swimming pool and 270 ft private, lighted fishing pier with two-1000 watt sport fishing lights! Worried your group is too big or won't enjoy their Texas Coastal Bend vacation? The Lucky Strike is the answer. The five bedroom home on a one acre bay front lot features a lighted private fishing pier, private swimming pool, and plenty of room to spread out and enjoy Copano Bay. You'll reach a level of relaxation that makes leaving the hardest part of your stay. The Lucky Strike is conveniently located minutes from downtown Rockport, downtown Fulton, Goose Island, and the Aransas National Wildlife Refuge. The home features two living areas, one overlooking the bay, and one newly remodeled family room with a 54" HD television, swivel chairs, and game table with plenty of room to spread out. Guests have five spacious and comfortable bedrooms to choose from; each thoughtfully decorated and outfitted with high quality mattresses, pillows, and sheets. The master suite opens directly onto the back deck and includes a memory foam king size bed, private bath and HD television. The "Sea Shell" bedroom includes a premium queen bed and a memory foam full size bed. The "Lucky" room includes a full size memory foam mattress. Check out the new upgrades and surprises in the Tiki Suite. This bedroom now includes its own private half bath. Sleep well past sunrise on the upgraded queen size mattress or on the full size loft "on top of the Tiki hut". Adjacent to the Tiki Suite, and completely remodeled in 2013, is the Nautical Room. This bedroom provides another queen with a built in single bunk on top. Enjoy the details of this room from the comfortable bay window seat. Prepare your meals from the spacious completely equipped kitchen with a butcher block center island. Serve your meals in the dining room which seats 12 and enjoys dramatic views of Copano Bay, or in the breakfast room which seats 6. 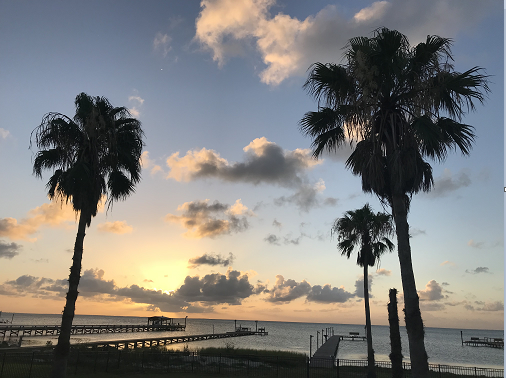 The home is perfectly oriented to maximize the views of the undeveloped western boundary of Copano Bay, and we bet you won't forget your first sunset at the Lucky Strike! 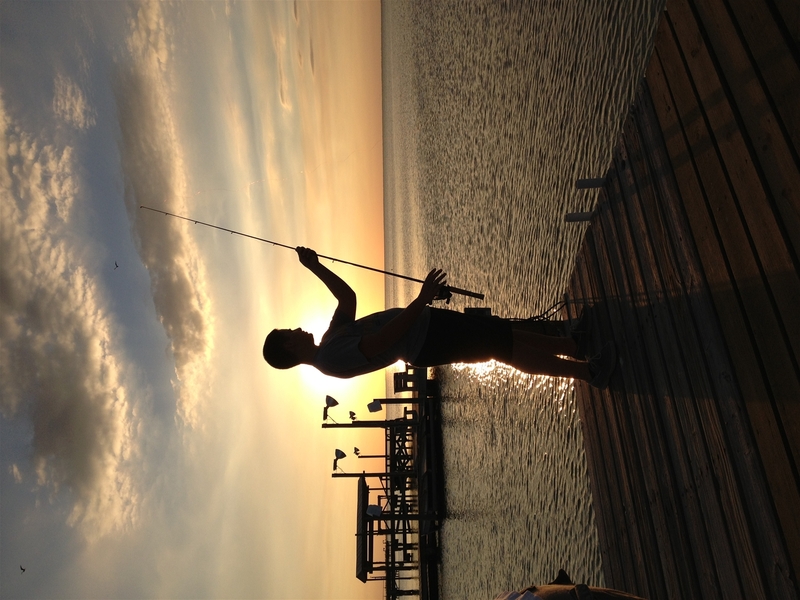 The 270' lighted fishing pier offers panoramic views of Copano Bay. 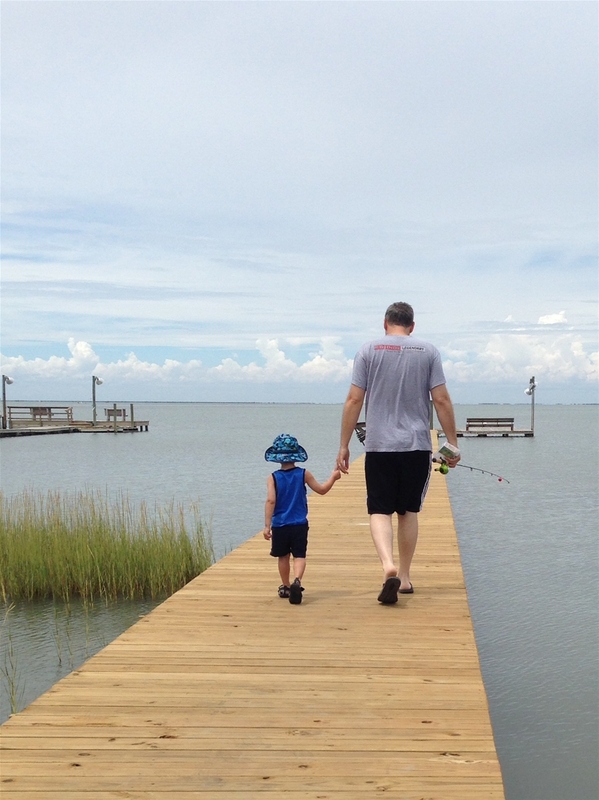 Watch mullet and baitfish dart in and out of the coastal grass on your way to the dock. Clean your catch of blue crabs, flounder, black drum, speckled trout, or redfish at the fish cleaning table with lights, power outlet, and fresh water. Or just sit on the dock and watch the dolphin swim right past you. Completely redone in 2012, the swimming pool is the right answer for the Texas summer sun. Float in the pool while talking with friends and family on the deck or just enjoy palm trees overhead and the bay views. While on the 800 sqft deck prepare your catch on the Weber gas grill, keep a watchful eye on the pool or dock, or just relax. Enjoy your morning coffee while watching dolphins, herons, ducks, pelicans, roseate spoonbills and countless other coastal birds hunt for a meal in the sea grass. Don't leave without enjoying an evening meal or a favorite beverage on the deck during a sunset. 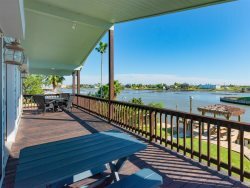 You will not find another home, condo, or hotel that offers your vacation group this combination of price, Copano bay front, private pool, private pier, and the room for friends and family to comfortably enjoy a Texas Coastal Bend vacation. Summer occupancy is always close to 100%, as are spring and fall weekends, so book now before someone else does! PLEASE NOTE THAT RESERVATION FEES INCLUDE A $750 FULLY REFUNDABLE SECURITY DEPOSIT. Just minutes to downtown Fulton, Rockport, Goose Island or the Aransas National Wildlife Refuge. Brandi and the team have been super great to work with. They are always responsive with answers to questions or any issues that may come up. Loved being at the Lucky Strike again (our third visit to the property) and we hope to be back again soon. We are always sad to leave Rockport! The service team was great, all questions were answered and assistance was outstanding. My family rated the Miss Kitty Luck Strike house rental as the Best rental home we have rented at Rockport,Texas by far. Thank you for such a great time. We will be back. J.M.Gonzales,United States Army, Chief Warrant Office Retired. Any issues that have required our contact with the office have been met with immediate response and fixed. LOVED THE HOUSE,VERY COMFORTABLE,LOVED THE VIEW OF THE WATER,AND I REALLY LIKE THAT AREA!WE NORMALLY STAY AT KEY ALERGO,BUT THIS WAS MUCH QUITER,LAYED BACK LIKE BEING IN THE COUNTRY,BUT CLOSE TO EVERYTHING! Everyone had a great time and we will continue to use your services for future vacations as we have for several years now! I use Miss Kitty's every time I come to Rockport. You can stay in a house cheaper than you can stay in a hotel. Both homes from Miss Kitty that I have used for two years now, have always been clean and ready for our arrival. I tell everyone to call Miss Kitty! Great time at the Lucky Strike. Hope to come back soon!